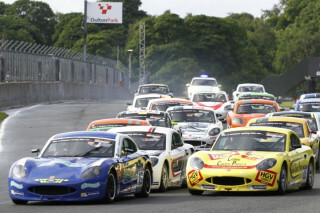 Jack arrived at Oulton Park, Cheshire, for rounds 7 and 8 of the 2014 Ginetta Junior Championship as Championship leader and determined to atone for the last lap slip at Thruxton a month earlier. 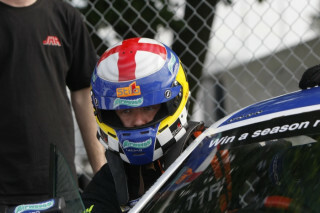 Qualifying saw the Airwaves backed driver top the timesheets, securing pole position for both of the upcoming races around the undulating parkland circuit. A good start to the first race saw Jack surge into a lead he would maintain to the flag, despite a couple of laps behind the safety car and constant pressure from behind. 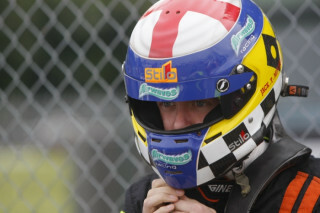 Jack took the flag just under a couple of tenths clear of the second placed driver, increasing his Championship lead. Jack made a good start again for race two, the last race of a long day, and held off the attentions of the pack behind to secure another impressive victory and further increase his points lead, now 66 points clear. 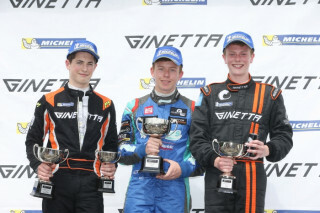 The gap between Jack and second place was around the two-tenths mark again for the whole of the race, but Jack never put a wheel wrong all day. 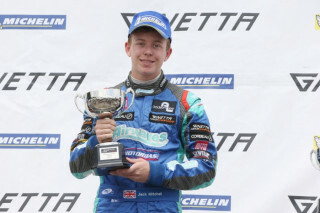 After taking his 3rd 'double' of the season, Jack was understandably delighted but also keen to thank his JHR Developments team for their top preparation and his sponsors for their continued and valuable support. 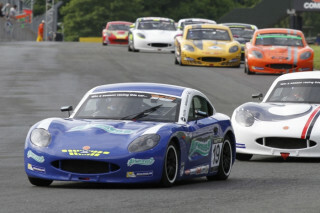 Attention now switches to Croft in Yorkshire for rounds 9 and 10, which will be held over the weekend of 27th ^ 28th June. Croft also marks the halfway point in the Championship and there is a Summer break after that round, with Snetterton in Norfolk kicking off the second half of the series at the beginning of August. Jack will use some of the time between meetings to continue testing at the upcoming circuits, so that he arrives at each round very well prepared as he looks to maintain his advantage in the points.